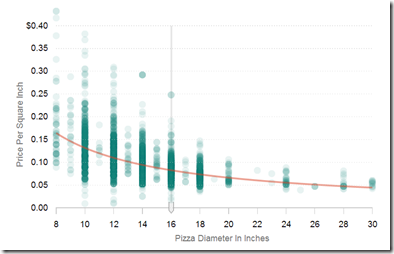 How much more pizza do you get for your money depending on the size? (based on 74,476 prices from 3,678 pizza places around the country). 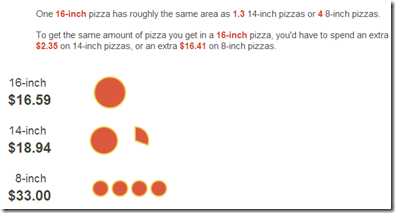 I never would have guessed that a smaller pizza is THAT MUCH smaller! So: great for watching you weight, but not so price efficient..
would have been ever more dramatic if you used area!